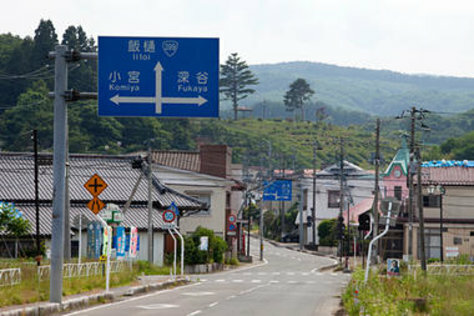 The small town of Itate, Japan, is a ghost town on June 20. It is within the 20-to-30-kilometer zone from the TEPCO Fukushima Daiichi nuclear reactor that started leaking radiation into the surrounding area after the March 11 earthquake and tsunami damaged the plant. Radiation levels in the town are much higher than surrounding areas. Evacuation was initially voluntary, but soon will be mandatory.